Located in south Denver, Park Meadows Cosmetic Surgery features board-certified plastic surgeons and a staff committed to achieving your most stunning results while providing an outstanding patient experience. Our Denver area plastic surgeons perform plastic surgery in our fully accredited, state-of-the-art outpatient surgery center and provide complimentary, private cosmetic consultations in an elegant and comfortable setting. Both Dr. Jeremy Williams and Dr. Christopher Williams are certified by the American Board of Plastic Surgery, and they have passed rigorous examinations and fulfilled extensive plastic surgery training to achieve this professional certification. Both of our plastic surgeons are experienced in an advanced breast reconstruction technique using your own tissue. This procedure restores natural-looking breasts without the use of breast implants. They partner with Skyridge Medical Center to offer patient’s autologous breast reconstruction called the DIEP Flap. Our center includes our office and consultation rooms, as well as our Colorado-licensed outpatient surgery center. These facilities are designed to maximize your comfort and to enhance your experience at our center. Our office and surgical facilities meet the highest standards of safety required by The Joint Commission and are properly equipped with advanced technology. We use a board-certified anesthesiologist and have a registered nurse on staff for plastic surgery procedures, to ensure you are provided with the most effective care. 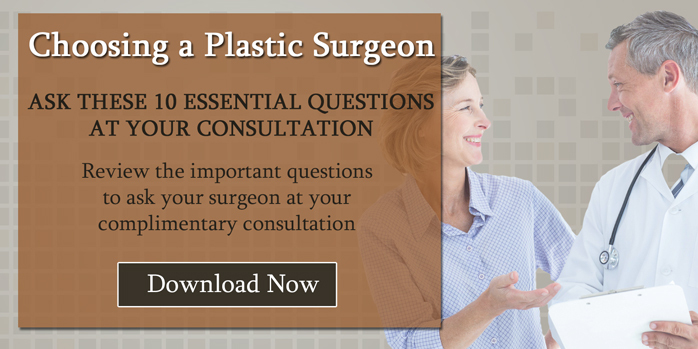 Your plastic surgery experience should be enjoyable and hassle free. Our VIP services include the option of a secluded overnight recovery suite, which allows you to recover from your plastic surgery procedure under the care of our skilled staff. Many of our procedures involve only minimal downtime, and allow you to return home in the same day. Please schedule your complimentary cosmetic surgery consultation in Lone Tree with Park Meadows Cosmetic Surgery serving Denver and all areas throughout the state of Colorado. We are available online or by phone at (720) 457-4471 to answer questions and make preparations for your visit. Find Park Meadows Cosmetic Surgery on Google+! Recent Patient at Park Meadows? Leave Us a Review! Dr. Jeremy Williams and Dr. Christopher Williams are certified by the American Board of Plastic Surgery. Combining state-of-the-art technology and techniques with a dedication to patient care, Park Meadows Cosmetic Surgery treats every patient with the respect, consideration, and compassion they deserve. Our surgical facility, Park Meadows Outpatient Surgery, is accredited by The Joint Commission. It was the first center in the state of Colorado to achieve this distinction. See the results of breast, body, and male procedures performed by our plastic surgeons. Each gallery features a detailed description of the patient and his or her treatment. If you tell someone about Park Meadows Cosmetic Surgery and they come to us, you will get a $50 gift card toward a procedure or purchase of a product at your next visit! Our partnerships with key representatives in the plastic surgery and facial rejuvenation industries allow us to make premier discounts and loyalty programs available to you! Disclaimer: The information throughout this Denver Plastic Surgery website is not intended to be taken as medical advice. The information provided by Park Meadows Cosmetic Surgery is intended to provide general information regarding breast augmentation, breast reconstruction and reconstruction after cancer, liposuction, tummy tucks, facial plastic surgery and more for resident of Denver, Lone Tree, and areas throughout Colorado. This website is not intended for viewing or usage by European Union citizens.If you are interested in finding a Colorado plastic surgeon, contact us today for a free initial cosmetic consultation.